Are you tired of wasting money on clothes that stay hanging in your wardrobe? Would you like to discover new ways to wear your existing clothes? Do you struggle to create outfits that are practical for your lifestyle? You know what look you want to create but you can’t seem to find the right clothes or the time to shop. You own lots of clothes but struggle to mix and match, create outfits and dress for the transition between seasons with the ever changing weather. You wear the same things over and over again because you’re frightened to try something new. You feel you need some encouragement to step outside of your comfort zone. You feel frustrated at not being able to find affordable, flattering and comfortable clothes. You resort to darker or neutral colours but want to bring some colour into your look. These are common problems, and the good news is they can be easily solved and you can refine your look without having to spend money on a Personal Stylist to to do all your shopping for you. You can get inspiration and support – at a Fraction of the Price. The 30 day ‘How to Build a Capsule Wardrobe’ Spring challenge is all about having a ‘less is more approach’ and helping you to find some wardrobe staples you truly love, save time and money when shopping, wean your wardrobe and re-ignite your existing clothes to make you look and feel amazing! I am Lindsay Punch, Personal Stylist & Image Consultant. I have lived and breathed the fashion industry since 2001, and I know a thing or two about helping women feel fantastic. I’ve had the joy of working with designers like Gucci, Prada, Chanel, Balenciaga and Louis Vuitton whilst at Harrods, trained teams of personal shoppers and travelled Europe with Ralph Lauren. From shop windows, to private clients, to ‘papped’ celebs, I’ve dressed a very long list of wonderful clients. I’ll be available to offer a guiding hand for as much or as little as you need me. You’ll join a private, interactive, amazingly supportive and uplifting group of women who will guide, inspire and encourage you. Plus Lindsay Punch, your Professional Personal Stylist, will be at your fingertips at a touch of a button. You can ask and share whatever feels comfortable to you. The camaraderie from the group is all part of the experience in helping you to step outside of your comfort zone and boost confidence. No more scrolling through on-line shops, Instagram or Pinterest trying to find the perfect look or capsule wardrobe, there will be plenty of style advice, inspiration and ‘where to shop’ tips for all ages, shapes and sizes so you can tailor your capsule, just to you. When you join the Style Challenge Facebook group, you’ll be welcomed and guided daily through the challenge on how to streamline your wardrobe,what to wear, outfit inspiration and LIVE Q&A sessions where you can ask questions specifically to you and your shape. You can dip in and out as much as you like to fit around your busy schedule. Streamlining your clothes to create a wardrobe you love and enjoy wearing, all of it, not just the 20% you currently wear! Saving you money when shopping by avoiding expensive mistakes. Previous 30 day challengers estimated they’ve wasted £200 to £2000 on unworn clothes prior to the 30 day challenge. 1. An Introductory email with all the details will be sent to you on Thursday 28th February. 2. Exclusive access to a private Facebook Group where you can interact with your Personal Stylist Lindsay Punch and the other 30 day challengers, get feedback, seek advice, ask any questions that you have and feel part of an amazing tribe of women. 3. A Wardrobe essentials checklist, to help you recognise where there may be gaps in your Spring wardrobe. 4. 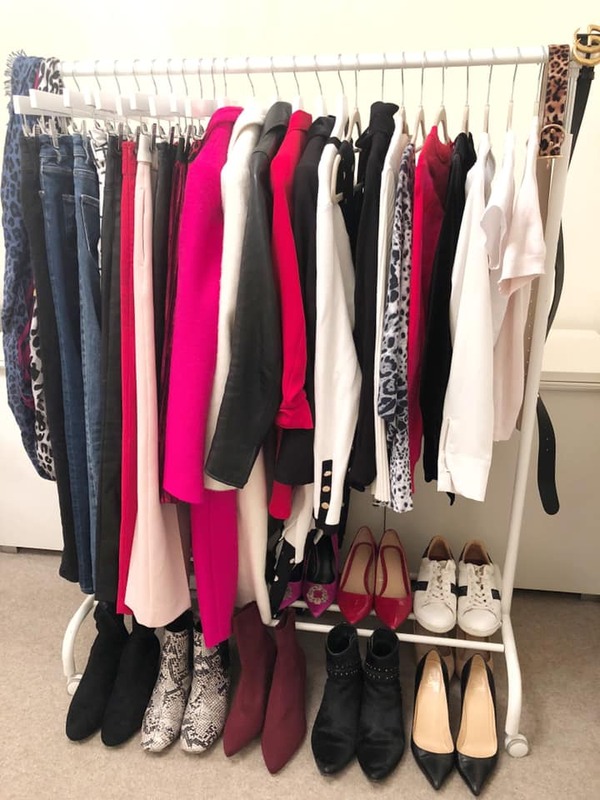 5 days of Wardrobe Organisation Guidance followed by 25 days of outfit prompts starting from 1st March, with inspiration and images for all ages, shapes and sizes. 5. 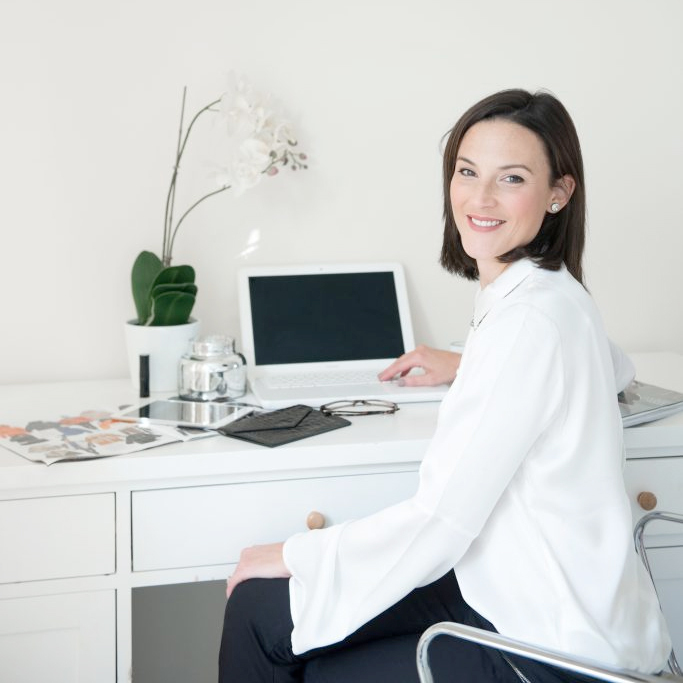 Two LIVE Q&A Sessions with your personal Stylist Lindsay Punch where you can ask all of your shape & style questions. You can post questions prior to the LIVE in case you are unable to join. 6. Tips throughout the 30 days on how to streamline and clear out your clothes. 7. An exclusive 10% Discount on any of Lindsay Punch’s 1-2-1 Style Sessions, Valid until the end of June 2019. To get the most out of it you’ll engage with the other ladies, try new things and step out of your comfort zone. However, feel safe in the knowledge that you will end up with a wardrobe you enjoy wearing, save time and money when shopping and feel super confident this Spring! Just £1 per day to have a personal stylist at your fingertips! When does the style challenge start? It officially starts from 1st to 30th March, however you will have access to the group and information from 28th February. How long do I have access to the Facebook group? From the day you purchase your place on the ‘How to Build a Capsule Wardrobe’ group until the end of April. What if I want to cancel and get a refund? If you have not yet joined the Facebook group, you are entitled to a full refund. Once you have access to the Facebook Group and have received the 30 day style prompts there are no refunds. Can I share the information in the group with my friends or on other social media channels? This is a private group, and all challengers need to purchase a place on this group at a cost of £30. Lindsay Punch respects all challengers privacy. Any Confidential Information shared by Lindsay Punch or any challenger within the Facebook group belongs solely and exclusively to the party who discloses it. Parties agree not to disclose, reveal or make use of any Confidential Information in any kind of communication. Material shared to Challengers in the Facebook group or via email in the 30 day challenge is proprietary, copyrighted and developed solely and specifically for Lindsay Punch Styling. All style materials created and shared in the group are for personal use in the 30 day Challenge only. Any disclosure, reproduction, sharing and sale by any challenger to a third party is strictly prohibited. Anyone found to be sharing content outside of the private Facebook group will be removed and not issued a refund. Can I start the challenge after 1st March? Yes, you can start the challenge on any date after the 1st March however you will still need to pay the full £30. It is up to you how much you time you want to commit to the challenge. You will need 5 minutes a day looking at the daily outfit prompts and getting dressed! You are encouraged to share a photo of your daily look and engage with the other ladies, which should take a maximum of 5-10 minutes. 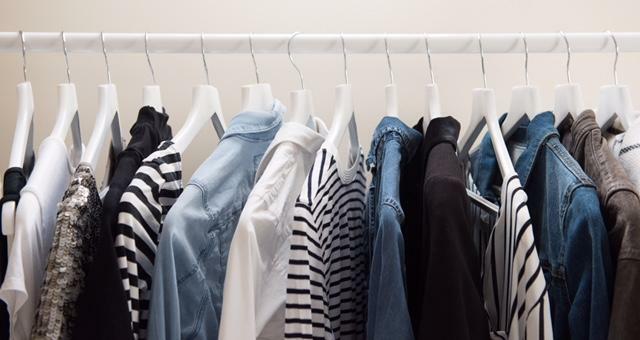 At the beginning of the challenge there will be 15 minute tips on streamlining and clearing your wardrobe, however how long this takes depends on how much you have in your wardrobe. You are also welcome to watch and participate from afar and not post anything, however the more you put in, the more you will get out of it. There will be checklists, photos, videos and you can access the private Facebook Group. All content shared in the group or via email in the form of checklists, style tips, images and videos is copyrighted and is the property of Lindsay Punch. What if I am unhappy with the challenge? We would never want you to be unhappy. Lindsay Punch is committed to providing all challengers with a positive on-line experience. If you have any concerns or complaints please email Lindsay Punch info@lindsaypunchstyling.co.uk. If you have not yet joined the Facebook group you will be issued a full refund. If you have already joined and completed one week of the challenge and have actively engaged with the group your case will be considered for a refund. Please note a deduction of £1 per day whilst you are a member of the group will be taken from the £30 fee. “I’ve invested in a few things for a capsule wardrobe. “I recently did Lindsay’s 30 Day online Capsule Wardrobe Challenge. I didn’t quite know what to expect, but I thoroughly enjoyed it.